The swell has disintegrated for Sunday coupled with notorious North devil winds. Running NRBWC in these undersized and sloppy conditions would not be true to our mission of 30′ minimum and clean for 8 hours. Pray for surf and less bureaucratic bungling. The very first attempts to surf Nelscott Reef. 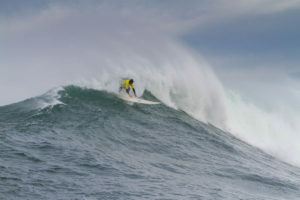 The Inaugural Nelscott Reef Tow Classic 2005 from Lincoln City, Oregon. First ever West Coast tow surf contest. 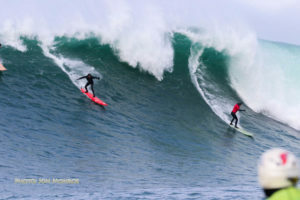 Nelscott Reef Big Wave Classic is a one-day event between October 1st and March 31st. The event is called on 3-days notice in order to guarantee optimal conditions. Surfers come from all around the world to paddle in and SUP the reef. The event is on it’s 14th year. 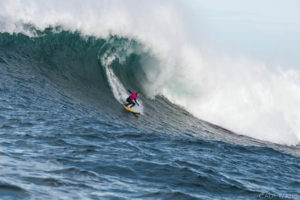 Our contest was the first to have a big wave women’s exhibition, in which Keala Kennely won in 2010. Also, in 2013 our first physically challenged athlete was part of the event. 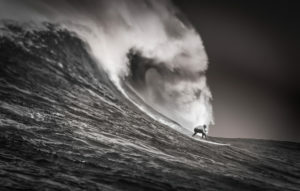 “The Find” is a documentary film focused on the first five years of the Nelscott Reef Big Wave Classic. Sign up for our newsletter and get notified when the event status changes and to get our latest posts! Nelscott Reef is about a half mile offshore from Canyon Park at a depth of about 18′ which causes the open ocean swells to jack up to 25 to 50′ and more on the face during optimum swell events. Nelscott Reef was first explored by John Forse in 1995. 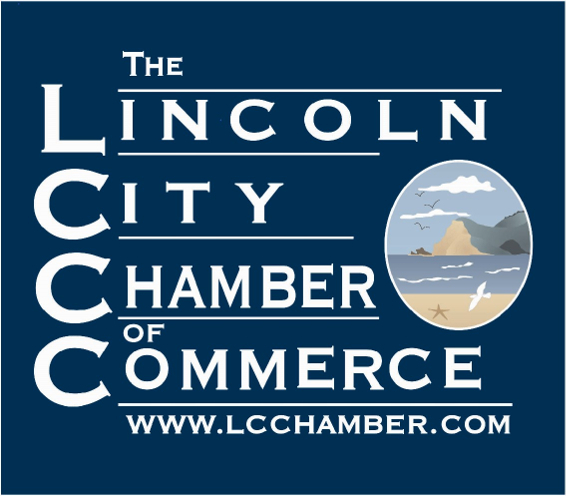 Parking is suggested at parking lot on top of City Hall or Lincoln City Outlets and walking to event as there is no parking along Coast Ave or in Canyon Park. Awards Banquet to follow around 6:00 PM with videos of days event and beer, wine and food. This event could not be made possible without the help from our sponsors. 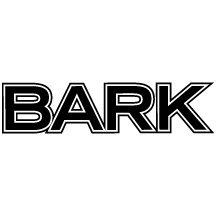 Thank you to everyone who supports us and has supported us through the years.